Description: Rectangular plaque. In relief the Olympic rings, flames and rays of light. 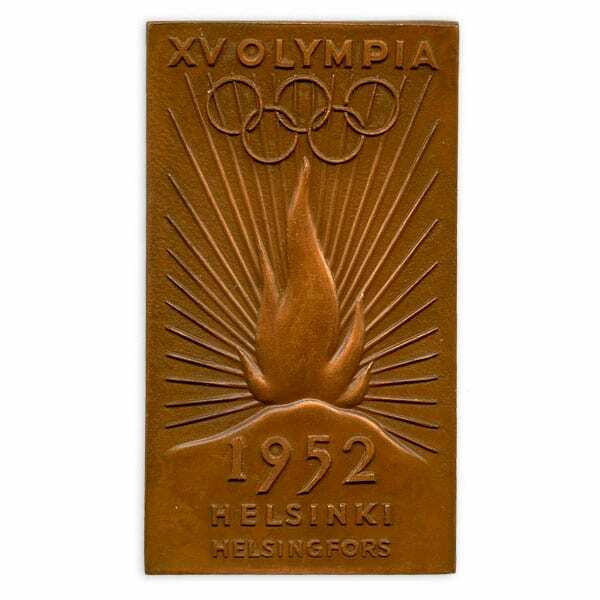 The texts: XV OLYMPIA 1952 HELSINKI HELSINGFORS. Other information: Plaques were sold to the runners of the torch relay.